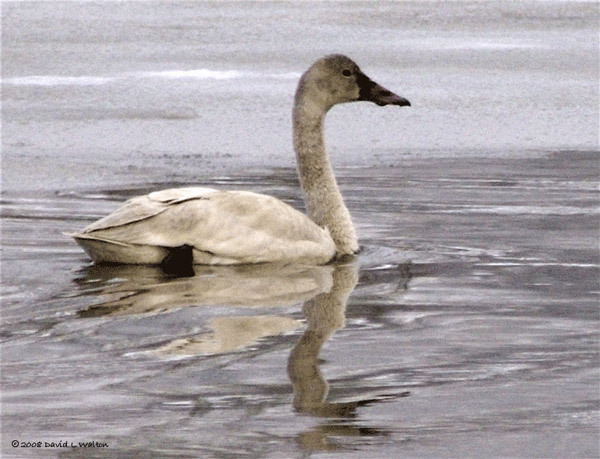 Subject: Tundra or Trumpeter Juvenile? Attached is a photo taken Jan 5, 2008, at Farmington Bay. Can anyone help me distinguish between the alternative swans?